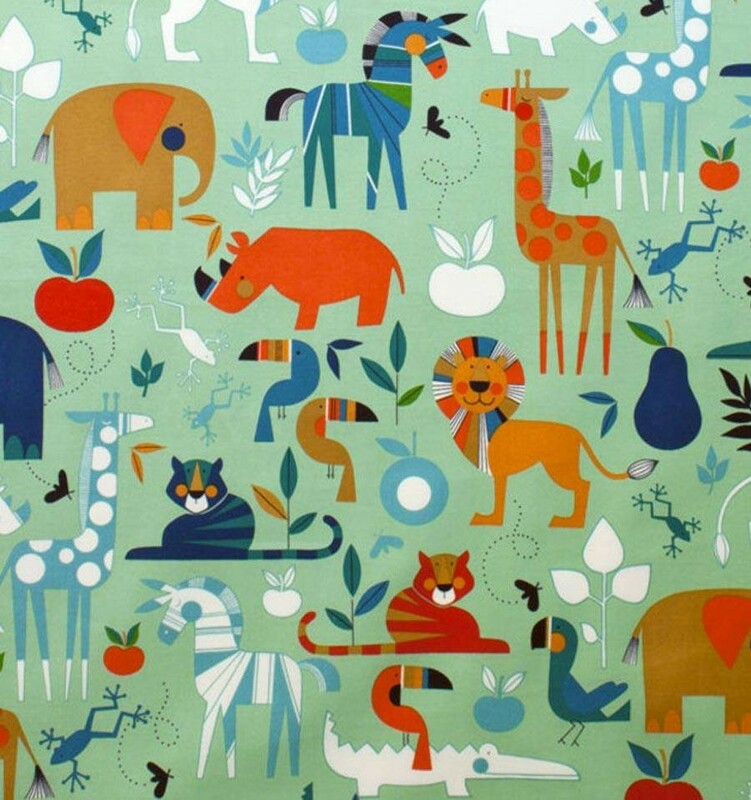 Rose and Rebellion Carriers are not only a feast for the eyes, with their sweet and boldly looking prints, but are also very multifunctional and handy. 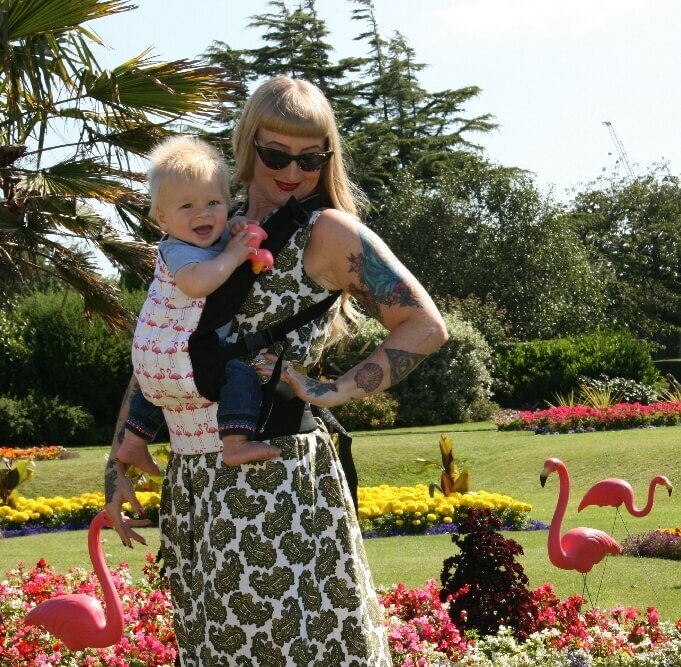 Anyone who knows or has been using the Rose and Rebellion Baby and Toddler Carrier, will also love this pre-school carrier. Your little angel (from 2,5 to 5 years) can doze off to the rhythm of a walk on the belly or back of mom or dad. Because even the bigger little angels get tired from time to time! The principle stays the same: a solid carrier with quality snap button fasteners for a safe feeling for both parent and child. 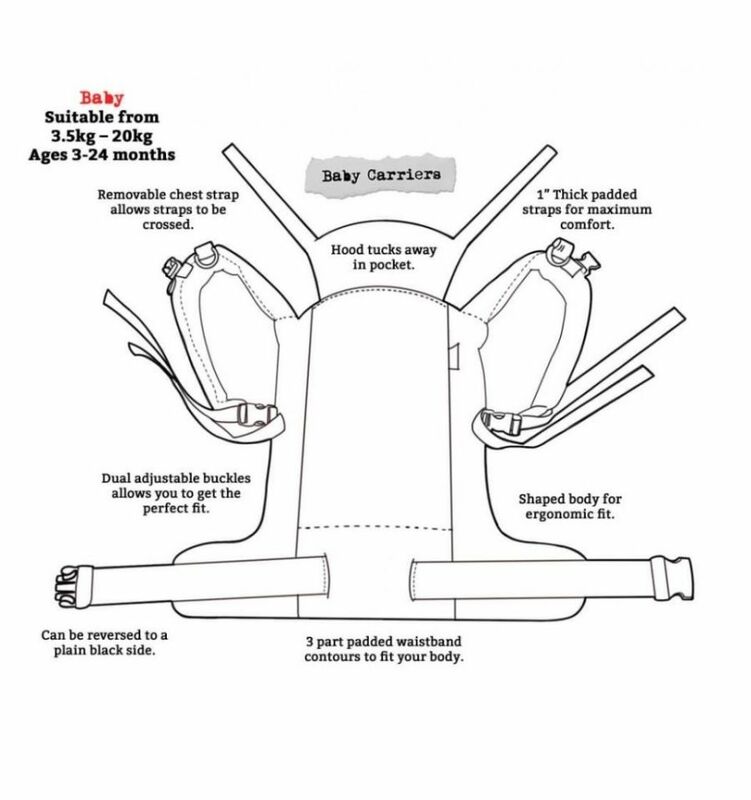 The back of the carrier is approximately 51 cm wide and supports your toddler from knee to knee. 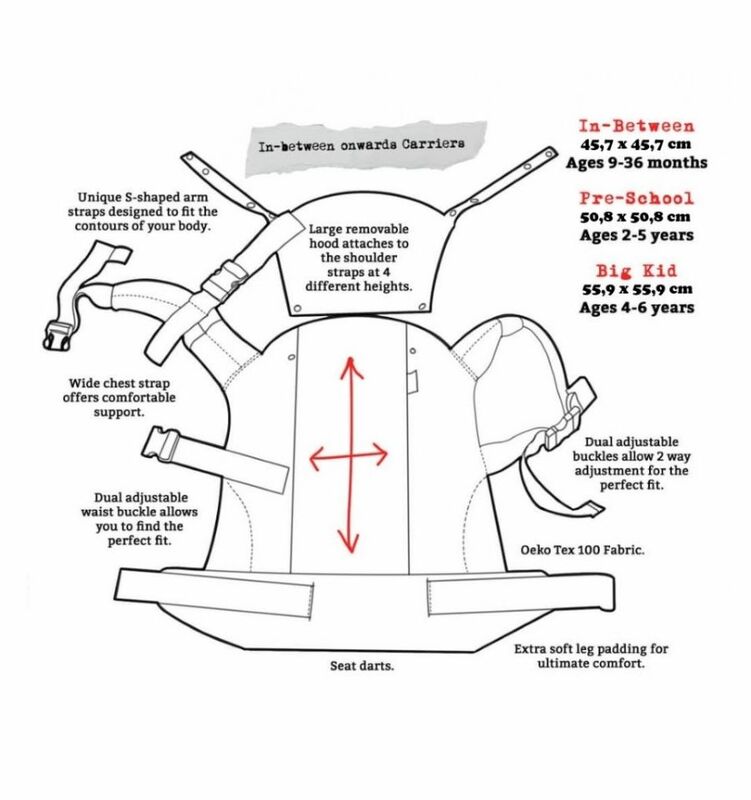 Adding seat darts to it, upgrades the comfortable sitting position for your child. 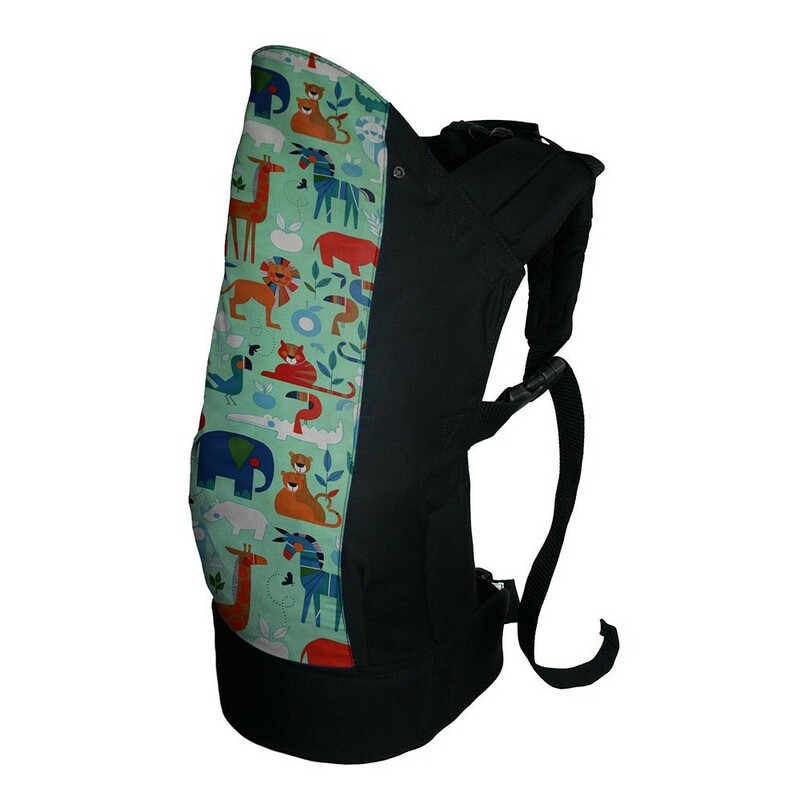 The design of the pre-school carrier is also ergonomically designed for mom and dad, having solid and adjustable waist, chest and shoulder straps. The latter can be adjusted and can also be worn crossed. 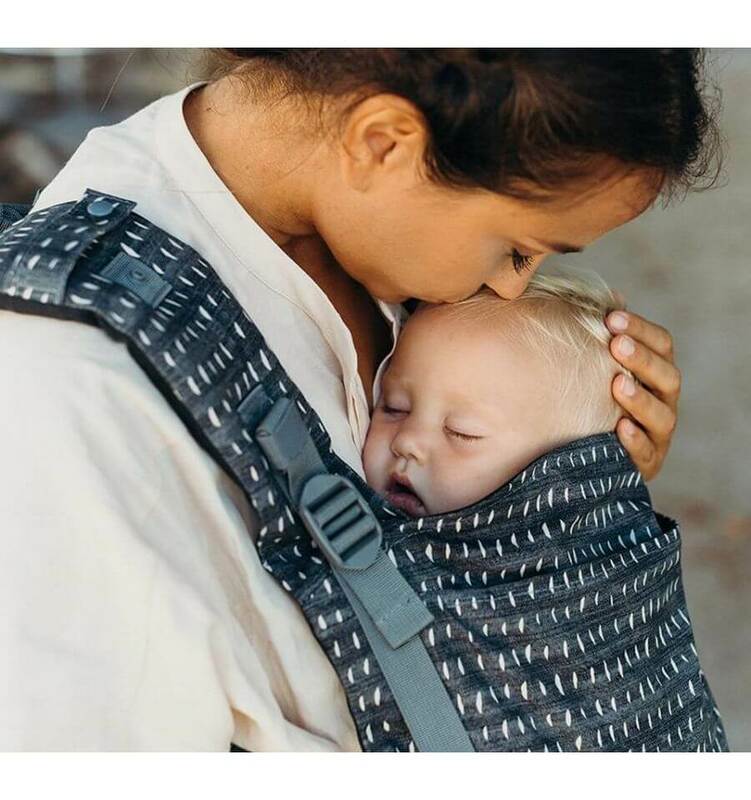 It’s easy to find the most convenient way to wear this carrier when making a nice walk with your baby keeping it close to you! 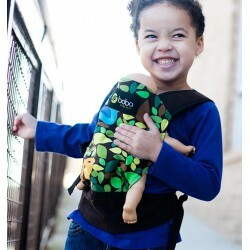 The Rose and Rebellion Pre-School Carrier is intended for children from 2 to 5 years old. If you don’t like to show off the flashy prints for once, you can simply turn your carrier inside out for a more elementary, plain look. For the cute, little sleepers, there is a handy, removable headrest integrated into your carrier. 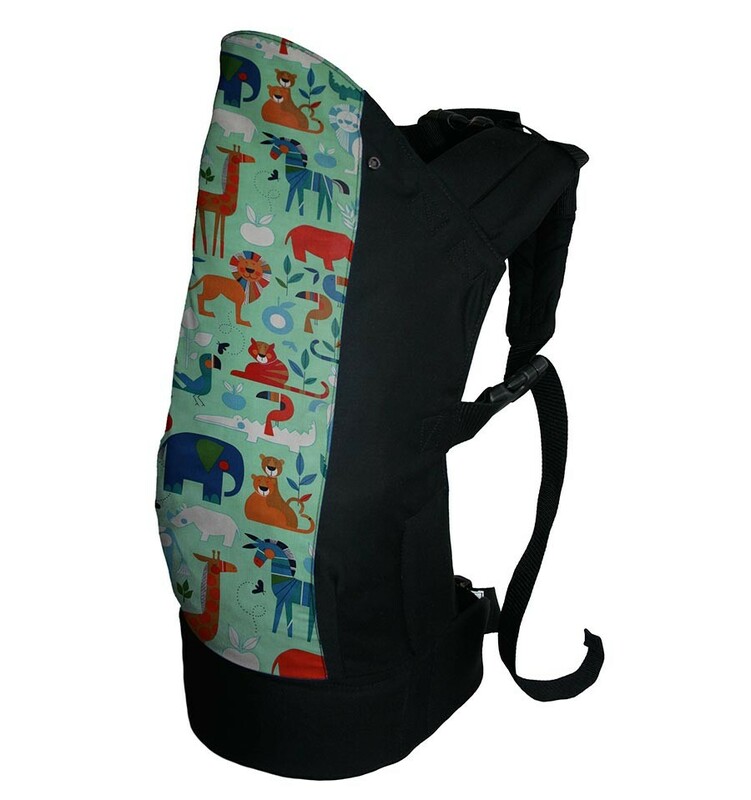 This carrier is made of 85% cotton and 15% polyester, weighs about 750 grams and is conveniently compact and therefore very easy to fold. You simply put it into your washing machine at 30 degrees when it needs to be washed.